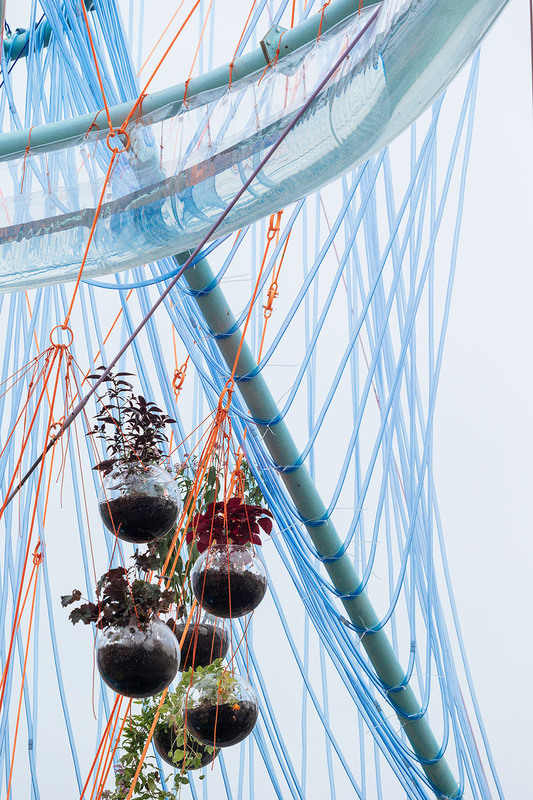 Galilean orbital irrigation structures are linked to diagrammatic catenary arcs: a cat’s cradle mapping water passage to suspended planetary-plants rising from mobile platforms. 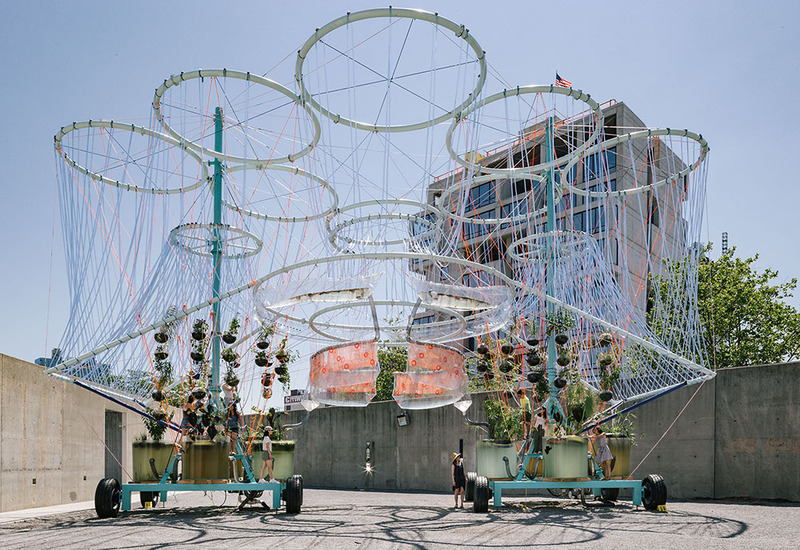 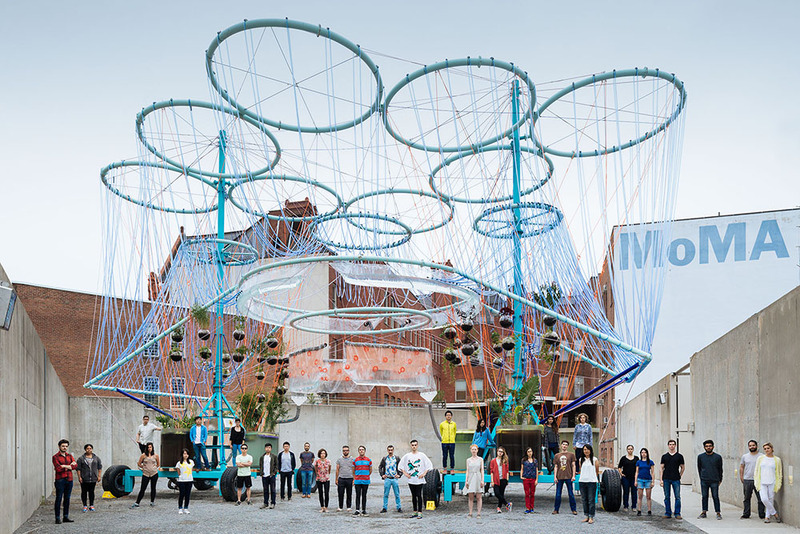 Part sci-fi rave aesthetic, part applied –if arcane— ecological science, the device purifies New York’s increasingly toxic water supply under the guise of a futuristic urban, social garden. 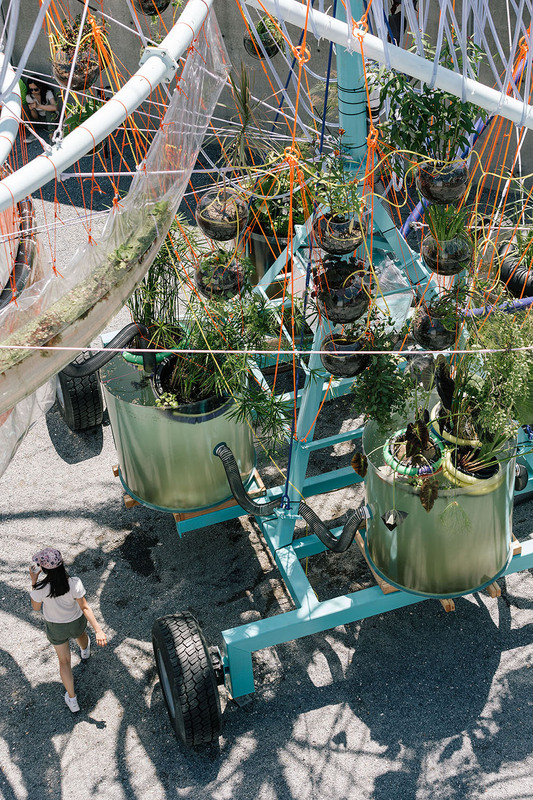 Utilizing locally sourced components and plants (to be returned) COSMO exposes previously hidden industrial domains as potentially manageable, vibrant and locally viable systems. 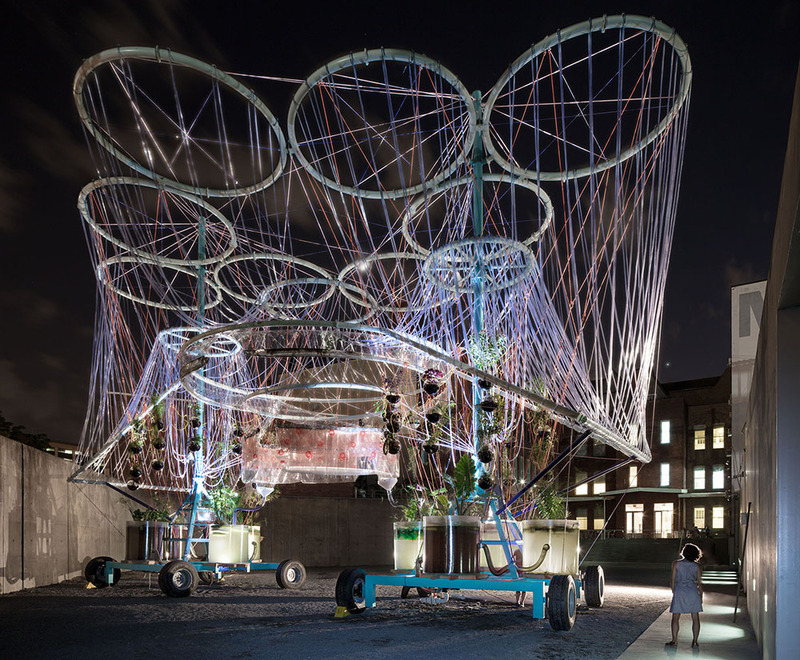 Enmeshed within an art-party glamour the glowing, lollipop seduction verifies that ecosystemic infrastructure, when properly manifested, can also serve as a social aggregator and communal purifier.